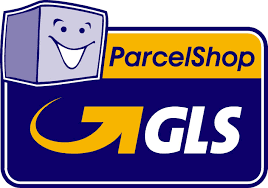 Denmark: As the fastest and cheapest way of delivery we recommend GLS parcel shop. You can select the parcel shop where you want to pick up your packet. However, you can also choose Postnord for delivery to your address. International: We also deliver to Sweden, Finland and Faroe islands. You have the right to cancel your purchase within 14 days from the day you receive the goods. You must notify African House, that you wish to cancel your purchase within 14 days from the day you received the item. You then have a further 14 days to return the item. You will then get a refund of the paid amount and delivery costs. If you regret parts of a delivery, you will get a refund for the returned item(s). Please note that you pay the costs for returning the item. We do not refund the price of food and cosmetics, if the packaging is broken or the item is damaged. African House can send you a label to return the packet.